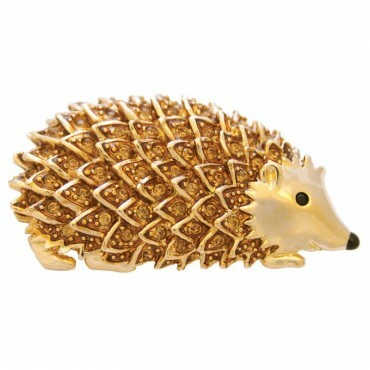 An adorable and delectable design, our hedgehog brooch could make a lovely addition to your outfit. Gold plated for excellent shine and colour, this metal alloy hedgehog brooch has been decorated and meticulously set with Austrian crystals. 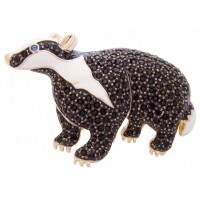 Usually a nocturnal creature, wear this women’s brooch in the day or evening, where it can be truly admired throughout. A collectable item, this beautiful brooch would also make a thoughtful gift.